Donna L. Katzmire, 70, of Grantville passed away Monday, April 15, 2019 at home. Born November 26, 1948 in White Plains, New York, she was a daughter of Dorothy G. (Girling) Clark of Stroudsburg and the late Fred W. Clark and was also preceded in death by a daughter Kimberly A. Morrison. Her illness forced her retirement from the former Seaman’s Market, Grantville. 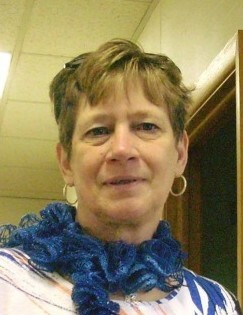 Donna was a member of Emmanuel United Methodist Church and the church Craft Group. She enjoyed her flowers, gardening, painting, collecting angels, but especially loved her family and grandchildren. In addition to her mother, she is survived by her husband of 49 years Jack N. Katzmire; daughter Shannon D. Dickinson; son Andy J. Katzmire; sister Sandra Kintner; brother David Clark; and grandchildren Joey, Luke, Madelyn, Maya, Anna, Ava, Lucy, and William. A memorial service will be held 11:00 AM Thursday, April 18, 2019 at her church, 6 Boundary Road, Grantville, PA 17028 preceded by a visitation from 9:30 AM. Memorial contributions may be made to Emmanuel United Methodist Church, 568 Mill Road, Annville, PA 17003 (Note mailing address is different than physical address).